Stunning mountain views across from Open Space on a peaceful country lane in Cherry Hills will capture your heart. The exquisite French Country Styling nestled on 1.8 acres is an amazing opportunity for the discerning buyer. This home provides tall ceilings, formal living and informal open flow styling accented by custom moldings and superb craftsmanship. Hardwood floors throughout the main open through French doors to welcoming and spacious flagstone patio. Stellar gourmet kitchen with attractive island and butler’s pantry. Private and spacious main floor master suite with mountain views has fireplace and his and hers Carrera marble bathrooms. 3 spacious 2nd floor bedrooms and 2 full baths with Carrera marble. The lower level has guest bedroom, bath with steam shower and additional recreation room. The gorgeous lawns provide a myriad of outdoor living opportunities. 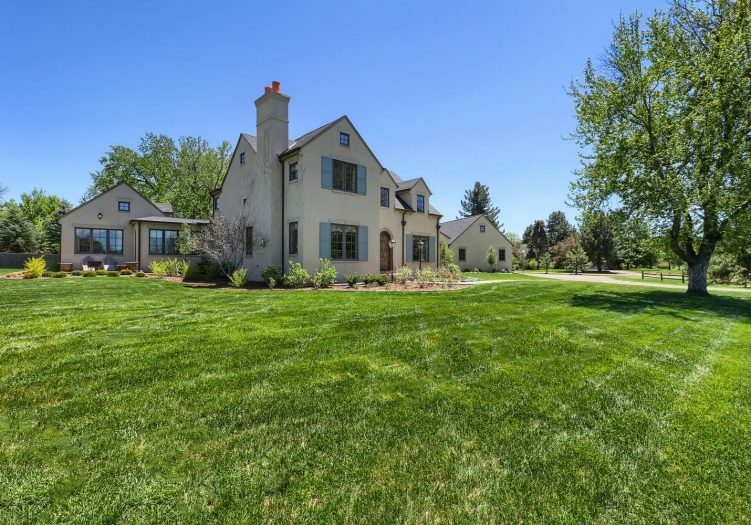 Located in coveted Cherry Hills Village Elementary & Cherry Creek High School, close to town and Highline Canal trail.